Traffic Jam and Optimism in Mijas! 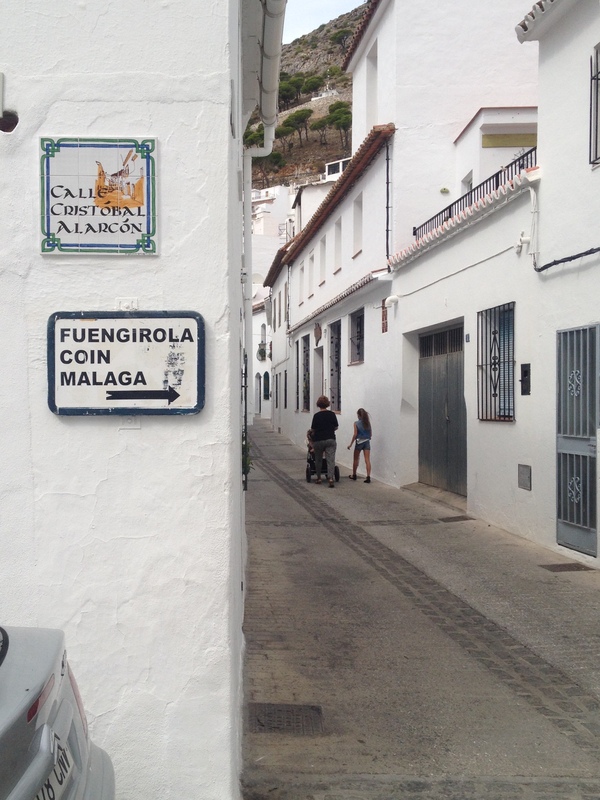 Today is cool in Mijas Pueblo, Spain with the temperature in the fifties (Farenheit). It has been raining on and off for the past two days BUT I am thankful there is no snow. Yes, living in a place where there is no snow is something to be thankful for. I will be able to see snow in the mountains all around me this Winter but the weather now is likely as bad as it will get until Spring. In living in Mijas I think about my family and friends and the stark weather contrast with the Northeast US. For me the last two Winters put me over the edge with snow and was a motivator to find places to live where it would be by choice to be in it! It will be nice to enjoy snow-capped mountains at a distance! As I said, there has been a lot of rain the past two days. People just take it in stride. I have noticed among all the people here (natives, expats and visitors) a sense of optimism. In between it raining today I took a walk and I saw a woman putting her wash out to dry (no driers here). That’s being really optimistic as it could rain more! I also watched people optimistically dealing with a traffic jam today! In a town that has few one-way cobblestone streets, a traffic jam must be a rarity! Well, today I saw one. It occurred were a single lane, one-way road (going south to north) merges for 20 feet with a single lane, one-way road (going north to south) so people traveling either direction can take a westerly road which is in the middle of the merge area. The merge area is large enough for only one vehicle. A delivery was being made to a produce shop at the intersection of these three roads. The truck blocked others going any direction. How did everyone cope with the situation? They knew there was no other choice for a way to go. They knew that it was good to have that shop there selling produce. They knew that it would eventually get sorted out. And it did! I can imagine how this scenario could have played out elsewhere! Today’s picture is of the street going in the westerly direction where the Mijas six car and one truck traffic jam occurred. The pictured road is key to get though the village. It is one-way, cobblestone, and always shared by vehicles and pedestrians. Forever thankful that it isn’t snowing here in Mijas Pueblo.